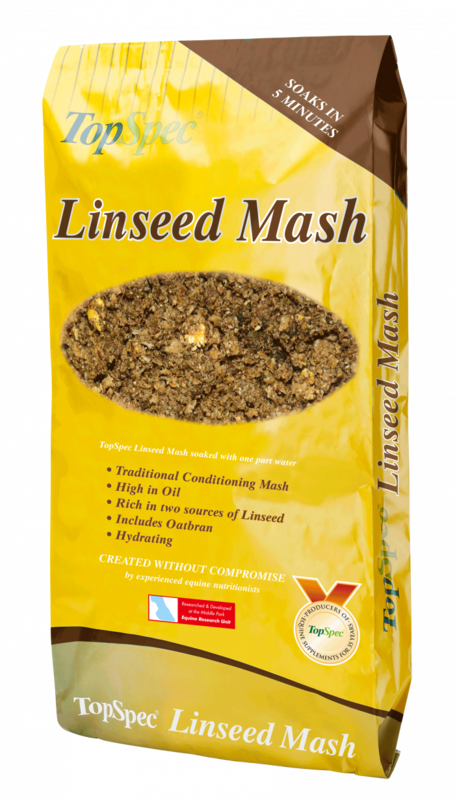 Linseed Mash is a blend of conditioning ingredients, with an emphasis on linseed providing substantial levels of intracellular oil and protein and including the all-important muco-polysaccharides. 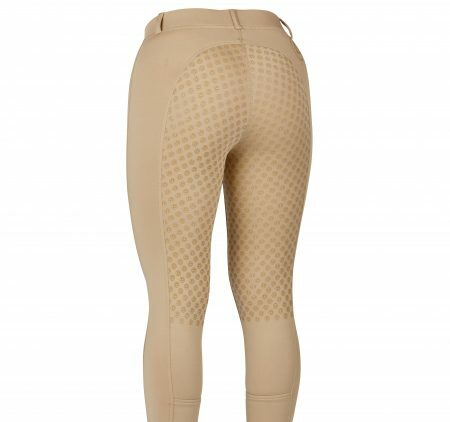 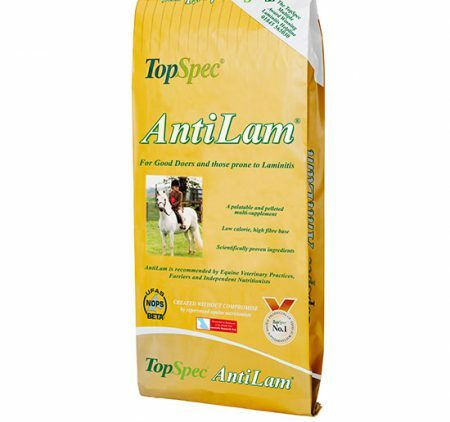 Oatbran provides good levels of super-fibres and has been proven to be sympathetic to the horse’s digestive system. 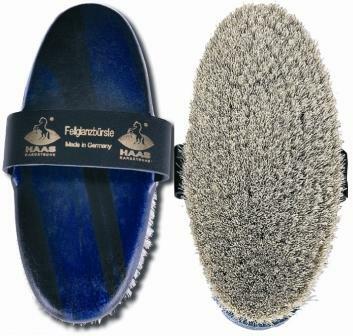 Feeding this mash with an appropriate TopSpec Feed Balancer or supplement will result in horses glistening with health. Linseed Mash soaks quickly in 5 minutes. 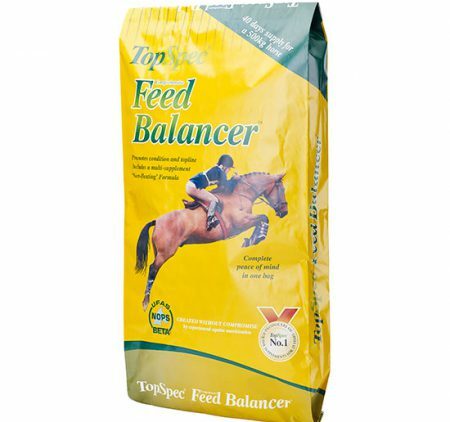 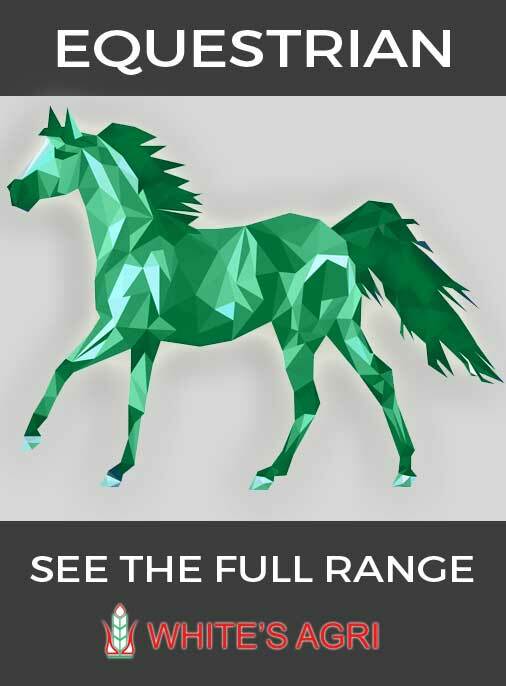 Linseed Mash is designed to be fed with any TopSpec Feed Balancer or an appropriate TopSpec supplement as it does not contain any added vitamins or trace-elements. 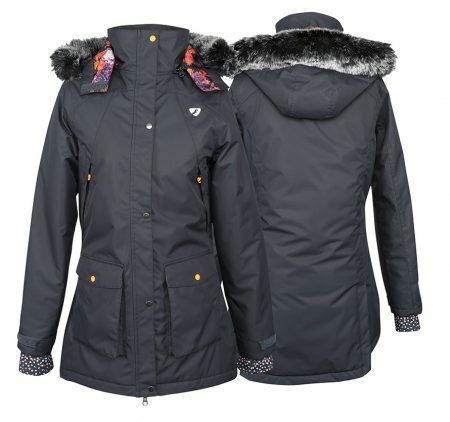 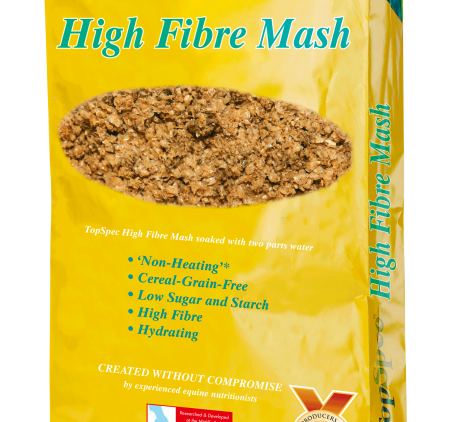 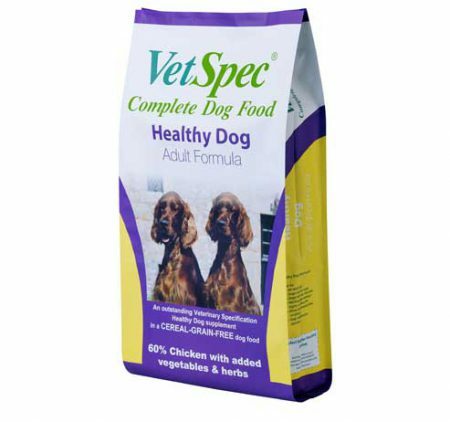 It is supplemented with the major minerals calcium, sodium and magnesium.